The greatest day for all of us is 15th August ~ Indian Independence Day. Let us celebrate 71st Independence Day of the Nation in a grand manner. 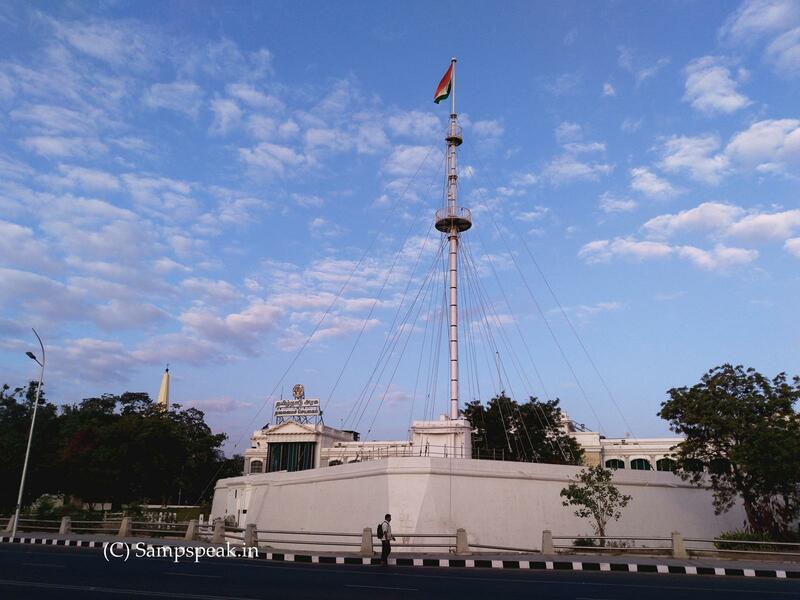 70 years ago, it was on this day [rather night] – the Union Jack faded descended for one last time from the flagstaff of Viceroy’s house at New Delhi marking the symbolic end to imperialism and the awakening of the spirit of free India. Winston Churchill passionately held the conviction that British rule in India had been just and exercised in India's best interests ! ; that her masses looked on their rulers with gratitude and affection; that the politicians agitating for independence were a petty-minded, half-educated elite, unreflective of the desires or interests of the masses. He contemptuously dismissed those fighting for freedom of India as 'men of straw'. When the day beckoned, Louis Mountbatten and his advisers, drawing on those manuals which had ordered all the grandiose manifestations of the Raj, had estimated 3o,ooo people would attend the celebrations. The figure was wrong, not by a few thousand but well over half a million. 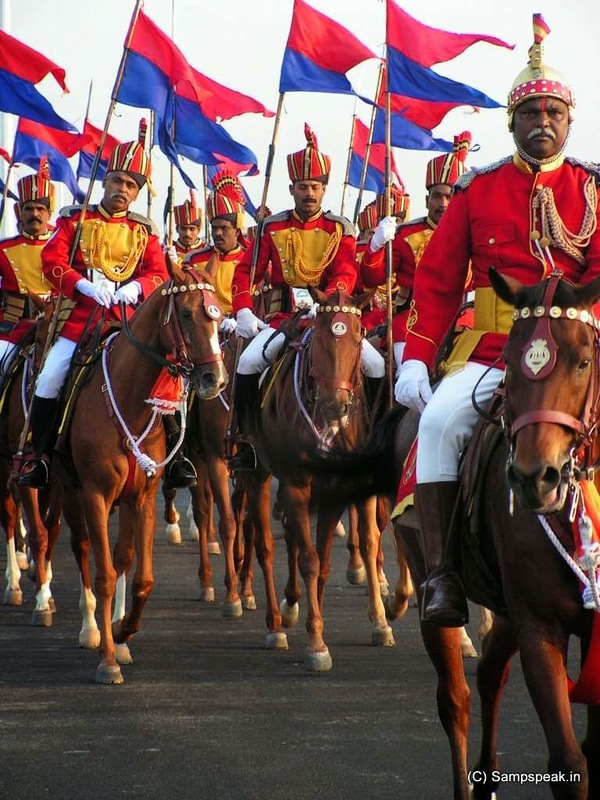 Never before had anyone ever seen anything remotely like it in India's capital city. இந்த உலகில் ‘சத்யம், தர்மம், அழகு, படிப்பு, வீரம், ஒழுக்கம் என்று எல்லா நல்ல குணங்கள் கொண்ட மனிதன் யாரேனும் உண்டா?’ என்று வால்மீகி முனிவர் கேட்க, நாரத பகவான் ‘உண்டு. அவர் தான் இக்ஷ்வாகு வம்சத்தில் வந்த தசரத குமாரர் ஸ்ரீராமர்’ என்று கூறி வால்மீகி முனிவருக்கு ராம சரித்திரத்தை சுருக்கமாக நூறு சுலோகங்களில் உபதேசித்தார். இது வால்மீகி ராமாயணத்தின் முதல் ஸர்கம். ~ it translates to mean “Mother and Motherland are superior to Heaven”.. This part of Valmiki Ramayana - Rama uttering this while addressing Lakshmana after their victory over (demon) king Ravana. "Lakshmana, even this golden Lanka does not appeal to me, mother and motherland are greater than heaven." Independence was granted by an Act – ‘The Indian Independence Act 1947’ passed by the Parliament of the United Kingdom that partitioned British India into the two new independent dominions of India and Pakistan. The Act received the royal assent on 18 July 1947, and Pakistan came into being on 15 August at the same time as Indian independence. However, due to Mountbatten's need to be in New Delhi for the transfer of power, Pakistan celebrated its formation a day ahead on 14 August 1947 to enable the viceroy Lord Mountbatten to attend both events ! The legislation was formulated by the government of Prime Minister Clement Attlee and the Governor General of India Lord Mountbatten, after representatives of the Indian National Congress, the Muslim League, and the Sikh community came to an agreement with the Viceroy of India, on what has come to be known as the 3 June Plan or Mountbatten Plan. Independence was not achieved in a day ~ nor through a single enactment. The struggle and sacrifices encompass millions of activities right from 1757 spanning 190 years till 1947. Many names have been forgotten, many did not receive the honours their sacrifices deserve – may be due to doctored history. Triranga or the National Flag was first recognized in 1906 in Calcutta Meeting; the next occasion was in 1907 by Madame Cama; in 1917 Lokmanya Bala Gangatara Tilak and Annie Besant hoisted it; in 1931, it was the Tri-colour designed by Pingali Venkayya with Spinning wheel at its middle. The National flag of India was adopted in its present form during a meeting of the Constituent Assembly held on 22 July 1947, when it became the official flag of the Dominion of India. The term "tricolour" always refers to the Indian national flag. The flag is based on the Swaraj flag, a flag of the Indian National Congress designed by Pingali Venkayya. The flag, by law, is to be made of khadi, a special type of hand-spun cloth of cotton or silk made popular by Mahatma Gandhi. The manufacturing process and specifications for the flag are laid out by the Bureau of Indian Standards – the length should be 1.5 times more than the width. Usage of the flag is governed by the Flag Code of India and other laws relating to the national emblems. The original code prohibited use of the flag by private citizens except on national days such as the Independence day and the Republic Day. In 2002, on hearing an appeal from Naveen Jindal, the Supreme Court of India directed the Government of India to amend the code to allow flag usage by private citizens. Subsequently, the Union Cabinet of India amended the code to allow limited usage. Karnataka Khadi Gramodyoga Samyukta Sangha (KKGSS) is a manufacturing federation located in the Bengeri area of the city of Hubli in the Karnataka, state of India. 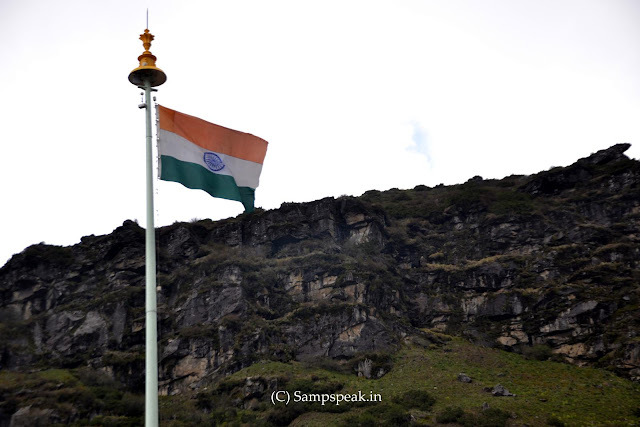 It is the only unit in India that is authorised to manufacture and supply the Flag of India. IN Capital New Delhi, India Gate is a memorial to 82,000 soldiers of the undivided Indian Army who died in the period 1914–21 in the First World War, in France, Flanders, Mesopotamia, Persia, East Africa, Gallipoli and elsewhere in the Near and the Far East, and the Third Anglo-Afghan War. 13,300 servicemen's names, including some soldiers and officers from the United Kingdom, are inscribed on the gate. 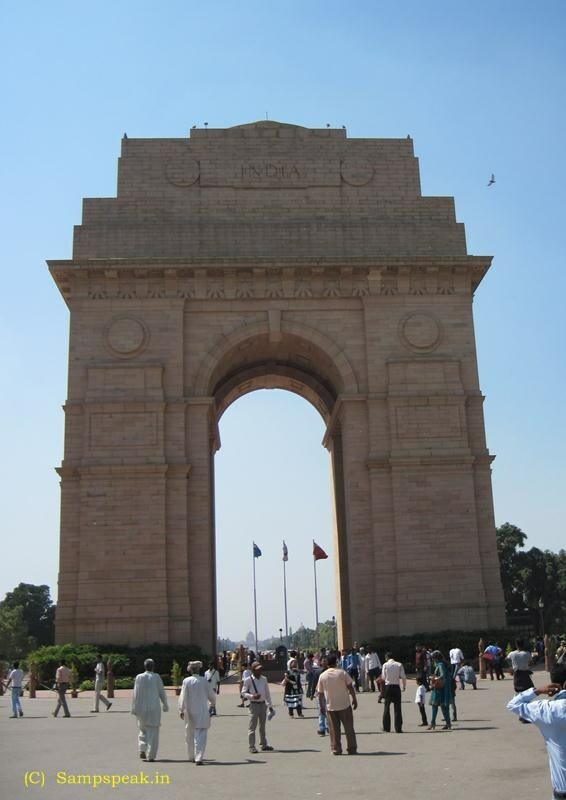 In 1971, following the Bangladesh Liberation war, a small simple structure, consisting of a black marble plinth, with reversed rifle, capped by war helmet, bounded by four eternal flames, was built beneath the soaring Memorial Archway. This structure, called Amar Jawan Jyoti, or the Flame of the Immortal Soldier, since 1971 has served as India's Tomb of the Unknown Soldier. ~ it is the time to celebrate the birth of this Great Nation and remember those great men whose martyrdom gave us the fresh air to breathe !! Jai Hind..